Please make plans to attend “Hair Walk Charlotte 2014.” The runway show will help fight cancer with style. The event will be held October 23 at 7 p.m. at the Charlotte Convention Center, 501 S. College St., Charlotte, N.C.
To support breast cancer awareness month at CPCC, the college’s MAN UP Program is encouraging the campus community – including students – to wear pink on October 22. To commemorate the occasion, the group invites all participants to meet in the Overcash Lobby at 12:30 p.m. to have a group photo taken. Thank you in advance for supporting this important cause! Is It Time For Your Annual Mammogram? October 1 @ Levine Campus 9 a.m. – 1 p.m.
October 24 @ Harris Campus 9 a.m. – 1 p.m.
October 30 @ Central Campus 9 a.m. – 4 p.m.
No appointment is required but recommended, so if you would like to reserve a time slot in advance. Call 704.384.7226. 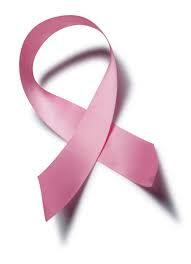 Mammograms are covered as a preventive screening every 366 days starting at age 40 for most insurance plans. For your convenience, we will file a claim with your insurance provider on your behalf. Please bring your insurance card to the event. What if my last mammogram was not at a Novant Health facility? You can still receive a mammogram on our mobile mammography unit. We will contact your previous provider to obtain films from your most recent exam for comparison. *What if I do not have insurance? Uninsured women may receive a FREE mammogram. To see if you qualify, please call 704.384.5250. 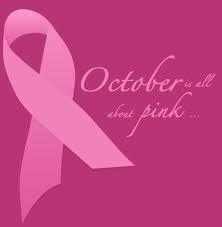 For more information, visit NovantHealth.org/pink or call 704.384.7226.